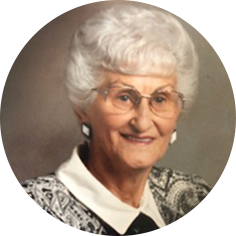 It is with great sadness the family announces the passing of our dearly beloved mother, grandmother and great grandmother, Anne Buzinsky. Anne was predeceased by her son Garry, husband John, two brothers and five sisters. Left to cherish her memory are her beloved daughter, Shirley, beloved grandson, Jeff (Sandra) beloved granddaughter, Leanne (Byron), daughter-in-law, Marge and precious great granddaughter, Amanda. As well as one niece and nephew and treasured friend, Marie Gibbs. Anne was a hard worker and enjoyed many trips to Vegas and Minot. A Celebration of Life to honor Anne will be held at the Moose Jaw Funeral Home on Thursday, August 30th, 2018, at 1:30 PM in the Harvey Room. As an expression of sympathy, contributions in Anne’s name may be made to The Heart and Stroke Foundation of Sask. 1738 Quebec Avenue, Unit 26 Saskatoon, SK S7K 1V9.